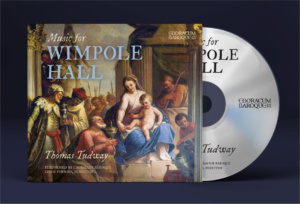 In January 2015 we were funded by the National Trust and Arts Council England to record a CD of music at Wimpole Hall featuring the compositions of Thomas Tudway (1656-1726).Tudway worked at Wimpole from 1714 till his death in 1726. 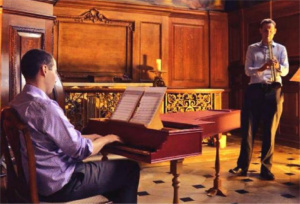 The recording took place across 4 days in St Andrew’s Church, Wimpole and the Baroque Chapel in Wimpole Hall. It features music that was specifically written for the consecration of the Chapel at Wimpole in 1721 including a grand Te Deum and Jubilate setting for Soloists, Chorus and an instrumental ensemble including Oboes and a Trumpet. On Saturday 20th June 2015, the first public performance in nearly 300 years of Tudway’s music was given in St Andrew’s Church, Wimpole. The CD was produced by Adrian Peacock and was released in September 2016. 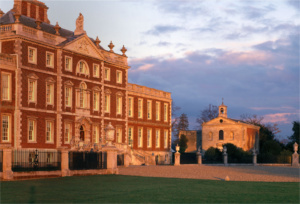 We have a strong relationship with Wimpole Hall and we hope to return to record a second CD of Tudway’s music in years to come. Thomas Tudway’s date of birth is unknown, but it is likely to be around 1650. He entered the Chapel Royal as a chorister and it is possible that a young Henry Purcell replaced Tudway when his voice broke in around 1667. Tudway became organist at King’s College, Cambridge in 1670, a position he held until his death in 1726. At a later date which is also unknown he became the organist of Great St Mary’s, the University Church. He was always keen to return to the Royal Court and even claimed that Charles II had promised him a musical position there but his advances were in vain as he missed out on positions in 1702 and 1704. 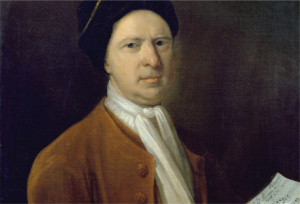 However, Tudway became the second Professor of Music at Cambridge University in 1705 but his time in the new position did not last long. In 1706 he was accused of making disparaging remarks about the Queen, possibly due to him being overlooked for a position at the court. He was stripped of all his titles but was reinstated a year later. The music on this CD features the music that Thomas Tudway composed for the consecration of the Chapel at Wimpole in 1721. The Wimpole Te Deum and Jubilate are written on a grand scale for an orchestra including trumpet and oboes. The music holds many similarities to contemporary composers from the time with distinct references to other settings of this text by William Croft and Henry Purcell. I decided to have a range of soloists throughout the Te Deum and Jubilate, a style which is known to have been used at this time. The verse anthem O how amiable included on this CD was also part of the consecration service at Wimpole. I will lift up mine eyes was ‘sung to ye Queen at Bath’ and is set for one solo voice with a short Hallelujah chorus to conclude the piece. It seems that James Hawkins, organist at St John’s College, Cambridge and later Ely Cathedral played a major part in helping Tudway create the Harley manuscripts. As part of the recording we felt it was important to include a composition by Hawkins and thus included his full 4 part anthem Blessed be thou Lord God of Israel. Hail, happy day was written in 1706 perhaps as an apologetic birthday ode to Queen Anne after Tudway had been stripped of his titles in Cambridge. It seems that the original multi-movement overture has become detached from the surviving manuscript and is now lost. The Sonata in D by James Paisible is a piece of music, similar in style to the birthday ode, and has been included to replace Tudway’s lost overture, in an attempt to replicate how a complete performance may have sounded.